The state where college students graduate isn’t always the state where they take their first job. In fact, some states are “simply terrible at holding onto their grads” according to a recent study by Zippia, a career analytics and information website. 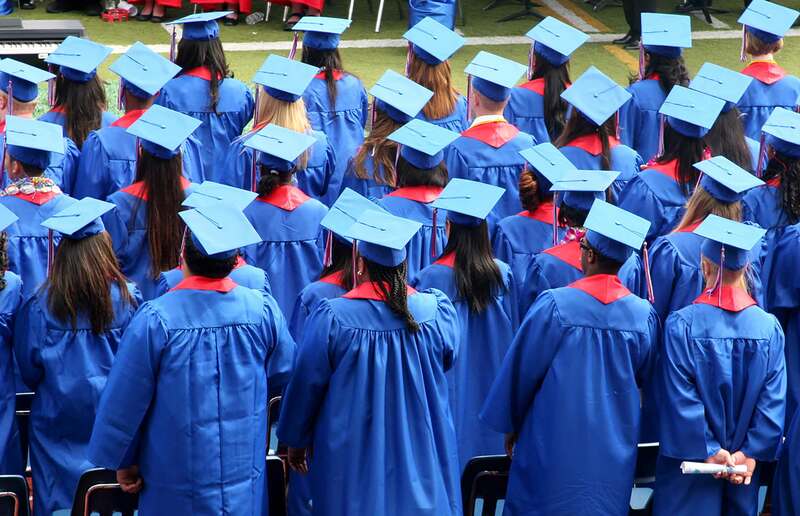 They looked at 127,403 resumes to determine the percentage of graduates who left the state where they graduated for their first jobs after college. The results? Smaller, northern states tend to lose the most graduates while more populous states retain theirs. But why? The cause of these departures can be attributed to many factors, the study found. Some of the states with the greatest college graduate “brain drain” have some of the lowest unemployment rates, with only two being above the U.S. average of 4.5%. Also, the same states that lose their graduates at the highest rates tend to take in more out-of-state students. There also was a strong correlation between the number of graduates who stay in the state where they graduated and how much those states spend on public universities. Those that spend more see more students remain after graduation. Whether you’re planning on ditching the state where you went to college or staying for your first job, it’s good to know where you stand financially. Your credit can play a big role in landing your first apartment, and even your first job. You can keep track of your credit scores by viewing two of your credit scores for free on Credit.com.